Unable to Work? Call Us Today. At Joyce & Bary, we understand the ups and downs you go through trying to get your disability. It’s not an easy process, and it can be a long one too. We’re here at every step to guide you toward the disability benefits you deserve. 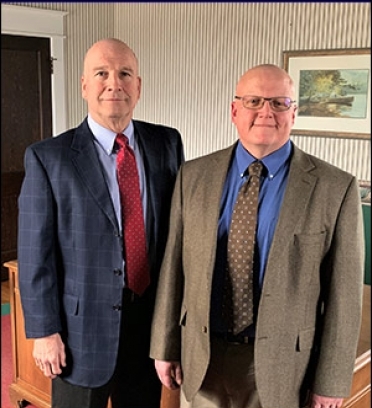 James C. "Jim" Joyce Jr.
We have over 40 years of combined experience representing disabled clients, and we serve the Roanoke and New River Valleys, plus communities across southwest Virginia, northern North Carolina, southern West Virginia, and upper east Tennessee. We are happy to discuss your disability case. If you are unable to call us, leave your contact information below and we will call you. With experience in a wide range of practice areas, we focus our practice primarily in the following areas. If you are unable to work, we will help you through the difficult Social Security disability process. We’ll remain by your side every step of the way. Executives and professionals often have disability insurance with specific provisions tailored to their occupation. Our attorneys and staff understand the tactics insurance companies use to deny claims. We will use our knowledge and experience to fight for your benefits. If you are covered by long-term disability insurance, you should receive those benefits when you need them the most. We understand the process and will do our best to help you obtain the benefits you deserve. Legal disclaimer: The results of client cases depend on evidence and information unique to each case. Our website is for advertising and information only and the information on this site does not substitute for legal advice and counsel and does not create an attorney-client relationship between site viewers and our attorneys. No attorney fees unless you are awarded Social Security Disability benefits.